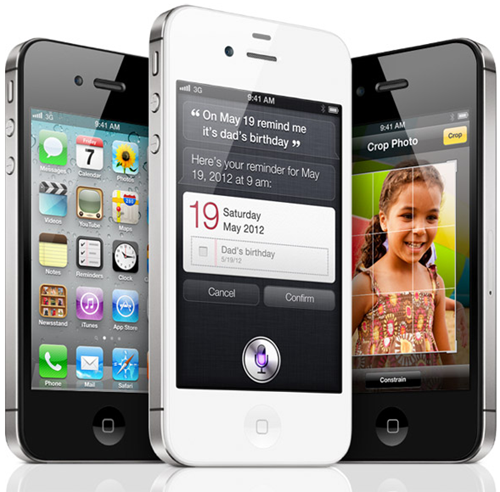 Apple has just announced a super souped up version of the iPhone 4 that launched last year: it’s called the iPhone 4S and it is launching on AT&T, Verizon, and Sprint at a very competitive price within two weeks. Read about its enhanced features, pricing and availability after the break! The news comes directly from Apple’s media event ‘Let’s Talk iPhone’ that is being held at their own campus in Cupertino, CA. A lot of things were different about today’s event with the two significant changes being how the keynote was given by CEO Tim Cook instead of Steve Jobs, who retired some time ago. Cook didn’t have the same level of presentation skills as Steve Jobs, but he performed admirably well. Secondly, the event was held at Apple Town Hall, Cupertino, California instead of the usual convention center in San Francisco. Anyway, let’s go back to the iPhone 4S. If you want to know what the iPhone 4S essentially is, it’s this: an iPhone 4 with a dual-core Apple A5 processor, and an 8 megapixel camera that records video at Full HD 1080p. You get the same look, but with vastly improved innards. The iPhone 4S is based on the same chip – the A5 – that powers the iPad 2 that was launched in March earlier this year. For the uninitiated, the Apple A5 chip is designed by Apple and manufactured by Samsung. The A5 offers significant performance improvements over last year’s A4 chip with Apple touting up seven times the graphics performance and twice the performance in, well, non-gaming tasks like surfing the internet with Safari, launching new apps etc. thanks to the two separate cores. Switching between apps is also significantly improved. The iPhone 4S’ optics deserve special mention: it has an 8 megapixel backside illuminated sensor which is, according to Apple itself, better at taking photographs and recording videos than dedicated point-and-shoot cameras. 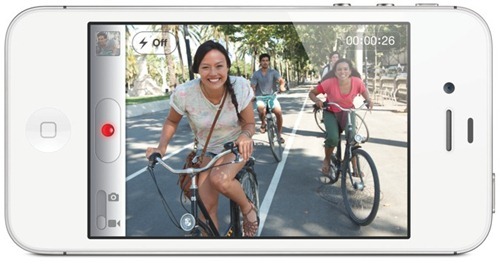 Video can be recorded at Full HD 1080p with real time image stabilization. The sensor takes in 73% more light than the iPhone 4, allowing for much better low-light performance, and has a Hybrid IR Filter which makes output more uniform and accurate. The camera is faster than similar offerings from Samsung and Motorola, thanks to optimized software. These features are enough to make the iPhone 4S a true replacement for dedicated cameras and it is something that Apple will focusing a lot on when marketing it. You’ve got the usual connectivity features: WiFi, GPS and Bluetooth. Apple has changed one thing though: the iPhone 4S comes with support for HSDPA networks which offers 4G-like speeds (up to 14.4mbps down). Besides this, the iPhone 4S will be a world phone, meaning that instead of having separate GSM/CDMA models, there will be only one model based on radio communication technology, which can change to GSM/CDMA as required. 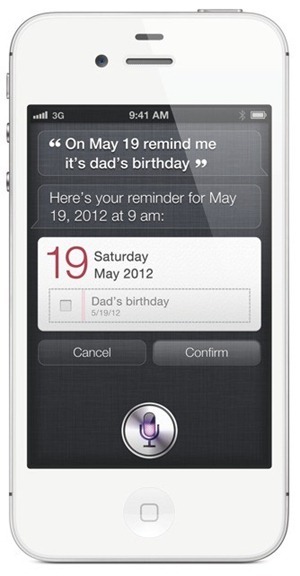 Lastly, the iPhone 4S comes built-in with enhanced speech recognition feature called Siri which will allow users to "get things done by just asking it". Want to know how the weather is like? Just say, "How is the weather like today?" and Siri will give you the weather forecast. You can schedule meetings, go through your calendar, check your latest messages, ask Siri to define terms like mitosis (it’ll answer with information taken from Wikipedia/Wolfram Alpha)… all by using your voice. It is as powerful as it is natural: No need to speak in funky accents. It will initially come with support for English, French and German, with support for more languages to be added later on. Having the exact same design as last year’s iPhone may have disappointed a lot of people who were waiting for the true next generation iPhone, but we think it isn’t as bad as it sounds. We love the iPhone 4’s timeless design; it looks as great today as it did back in mid 2010. The iPhone 4S comes in two colors: black and white in 16GB, 32GB and, yes, 64GB storage capacities. The 16GB model costs $199, 32GB one costs $299 and the 32GB model costs a whopping $399; all models come with a two year contract from AT&T and Verizon. 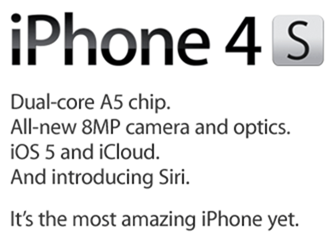 The iPhone 4S will be carried by AT&T and Verizon when it releases on October 14th. Pre-orders start on October 7th. While you can already jailbreak iOS 5 (tethered) on pretty much every device except iPad 2 using Redsn0w, users of the iPhone 4S however will have to wait, just like the iPad 2 users, before any jailbreak is available. You can read all about iPhone 4S jailbreak possibilities by following this link here.